I'm always happy to see Fred Piscop's byline. My first cheat-free Sunday puzzle was made by Fred. It's hard to make clean Monday/Tuesday puzzles as Rich and other editors want fill to be very solver-friendly. No obscure entries. It's also hard to make Sunday puzzles. The sheer size alone is daunting. Little dupes (not allowed) happen so often. But it's hardest to make Sunday puzzles with Monday/Tuesday smoothness and cleaness. I tried and failed often. I have yet to make a Sunday without a partial. But Fred accomplishes this on a regular basis. Now I've read Fred's answer regarding his filling philosophy and realized the extremely high standards he set for himself. He forgot Roman numerals. You would not find MCII in his grid either. His #1 priority is always his solvers. Fred has over 100 puzzles published by the New York Times, not counting the Variety diagramless. He has also been published by the LA Times, the Wall Street Journal, the Crossword Club, Newsday & many other newspapers and magazines. 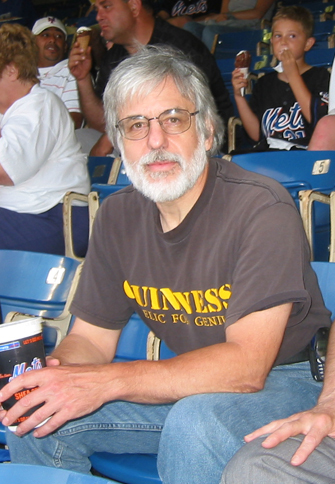 Fred was the crossword editor for the Washington Post from 2002 to 2008. He is a legend! What are the other theme entries you also considered but discarded for today's "Fare Play"? To tell you the truth, I don't even remember! I tossed my notes as soon as Rich Norris approved the theme. I noticed that you seldom go low on word count and your puzzles are always smooth and clean. No weird three-letter abbreviations, not even one partial in this grid. What's your philosophy when it comes to fill a Sunday grid? As for word count, I almost always use the maximum count allowable by the editor. The higher the word count, the easier it is to avoid lousy entries. Solvers as a rule are not concerned with word count, but they are very concerned with junk in the diagram. And besides the partials and weird abbreviations you mentioned, I avoid stuff like: foreign words that have no English usage; uncommon variant spellings; brand names that are not national (such as EDY'S ice cream which is not known in California); sports figures that are either not Hall of Famers or who have been beaten to death in crosswords (like ALOU); "crosswordese" (words that appear practically nowhere else in the word but in crossword puzzles (such as ANOA and ESNE) and so on. If I'm not happy with an entry in a particular region of the diagram, I try to rework that region. What's your background? And how did you get into crossword construction? I graduated from Cornell University in 1970 with a degree in Industrial Engineering, which I didn't do a great deal with. My early working years were spent at a variety of jobs which I referred to not as a career but as a "history of gainful employment." Around 1980 I purchased a used Apple ][, began teaching myself computers, and eventually became a PC tech support specialist. I was always a puzzle person; even as a kid, loved anagrams, word games of all sorts; math brainteasers, and so on. Around 1990 I began trying my hand at constructing crosswords, and found that I had a flair for it. It wasn't long before I was selling crosswords to several major outlets, including the New York Times. In fact, my first NY Times puzzle, published November 22, 1993, was the first NYT daily puzzle under the editorship of Will Shortz, and the first NYT daily puzzle ever to carry a constructor byline. In 1995 I got laid off from my tech support job at a defense electronics firm on Long Island. I decided that I would never return to the 9-to-5, and just try constructing crosswords for a living. I have never looked back. Which part do you enjoy the most in the construction process: theme development, filling or cluing? All three have their enjoyable aspects: there's great satisfaction to be had in coming up with a cute theme or a clever clue. But I'd have to say that filling the diagram is most enjoyable for me. Filling a diagram is, in effect, solving a puzzle. I've got to make everything fit, and still maintain the diagram standards I listed above. What kind of reference tools do you use for crossword construction & cluing? The de facto standard computer program in the crossword construction business is Crossword Compiler for Windows (CCW). Practically every constructor uses it. Ginsberg's Clue Database is a big help, too. Online I rely on standard references such as Google and Wikipedia as well as onelook.com, which links to about 1,000 online dictionaries. You used to be the Crossword Editor for the Washington Post Magazine. How did that job influence the way you make crosswords? I'd say it's the other way around; the way I made crosswords influenced the way I did my job. Besides adhering to the aforementioned diagram standards, I worked with constructors to make their theme submissions as sharp and clever as possible, and tried to come up with clues that evoked colorful mental images. Submissions went through a three-step process: coming up with the theme, creating the fill, and writing the clues. There was often a fair amount of back-and-forth between me and the constructor regarding the theme and fill. Incidentally this is exactly the way I work with Rich Norris now. During my tenure as editor, I tried never to forget that I was once a beginner myself. So, I tried to be as helpful as possible to new constructors, explaining why certain themes didn't work, certain areas of the grid had to be redone, and so forth. Besides crosswords, what else do you do for fun? I'm a solver too! My puzzle of choice these days is the Guardian (a British paper) cryptic. In fact my first order of business for the day is to stop at Dunkin' Donuts for a coffee, bagel and the Guardian. Other than that: I'm a keyboard player and attend several jam sessions every week. And if I'm not playing somewhere, I'm listening to live music and sampling the selection of microbrews that are for sale. I also do all I can to stay in shape, including running, biking, going to the gym and playing senior (age 60+) softball. And you can often see me around the neighborhood walking my niece's dog Dina. Class of '70 makes us classmates ... sorta. I went home for Christmas my first semester and never went back. I love this man's philosophy and approach to life. Nice reading the bio. Enjoyed it all. In military speak, it's "Alpha" not "Alfa". You're referring to a car there. Otherwise, very enjoyable. Thank you. I couldn't find ALFA or ALPHA in the interview or the puzzle but since you brought it up ... NATO and US military use ALFA, just like the car. I've been doing the USA Today crossword puzzle everyday for quite some time now, saw your byline and finally decided to Google your name to see who has been providing me with this little bit of daily pleasure. Thanks! My wife and I have a competition to see who gets it done in the shortest time. :-) Now my son is in on it, too. Aside from saying you are my favorite compiler, I most of all want to thank you for the pleasure you bring to my mornings.